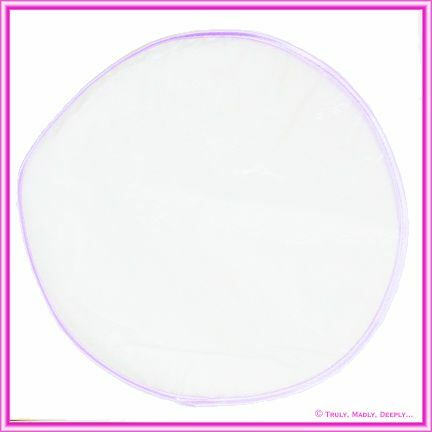 These lovely organza tulle circles measure 24cm in diameter and have a lilac satin edging. Simply place your almonds or chocolates in the middle, group the edges and tie off with a ribbon and you will have a beautiful bomboniere for your wedding, christening or other special event! For best display results, each tulle circle should contain 5 almonds or 3 chocolates (or a mixture of both eg 3 Almonds and 2 chocolates). Price is for tulle circle only. Assembly, almonds, Chocolates, Ribbon and accessories sold separately.